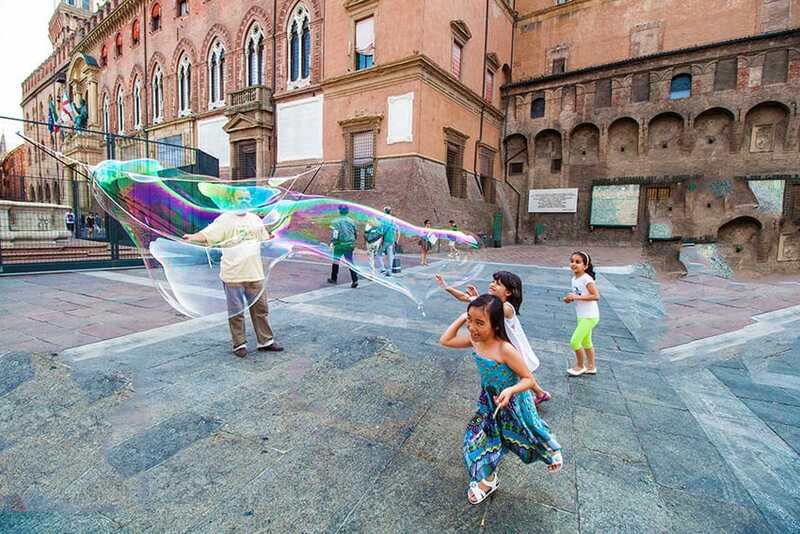 BLOG Italy - Emilia Romagna In One Week: 4 Great Activities You HAVE To Try! Italy – Emilia Romagna In One Week: 4 Great Activities You HAVE To Try! For those who don’t know me well, I’m Italian and I consider myself a very lucky person. How could I not be? My country is one of the most beautiful in the world (Italian pride!). I’m a nomad at heart, but my motto has always been: Know your roots first, then you’re ready to conquer the world. And that’s exactly what I did. WHY EMILIA ROMAGNA IS SO UNDERRATED, ESPECIALLY AMONGST THE FOREIGNERS? I was lucky enough to visit the region a few times when I was 20 and my brother used to live in a small cute village called Loiano, located on top of one of the many hills surrounding Bologna. Since that first visit, I wanted to go back so bad! When I discovered about the BlogVille project I immediately asked to participate for Emilia Romagna. 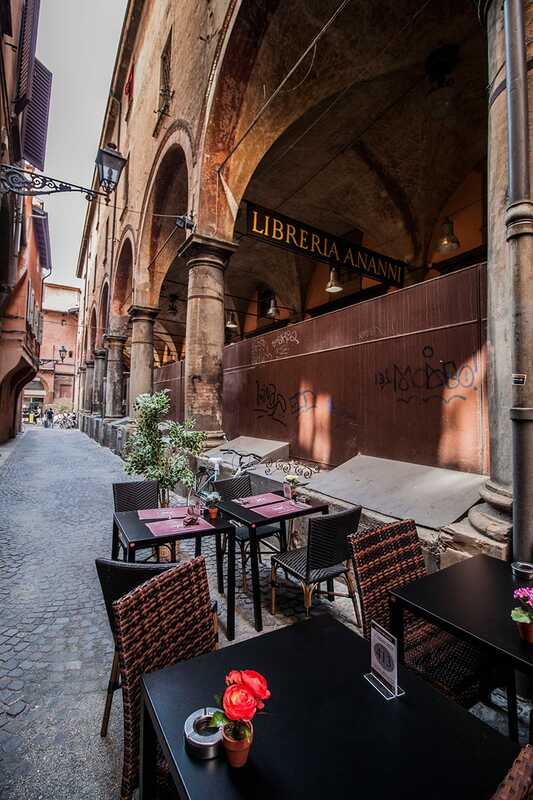 A quick mention of the project: We were given a lovely apartment in the center of Bologna, facing Piazza Maggiore and we were left completely free to decide which part of Emilia Romagna to discover. Meaning: no constrictions, or tight schedules to follow. Needless to say, I was beyond excited! ROME (Love it with all my heart, but please people, don’t stop there! ), VENICE (honestly? Totally Overrated for me, sorry to disappoint Venice’s lovers), FLORENCE/TUSCANY (beautiful of course, one of my favorite together with Emilia Romagna in northern Italy), MILAN (Not my cup of tea, it might have its appeal for some, but not me. Nothing personal). 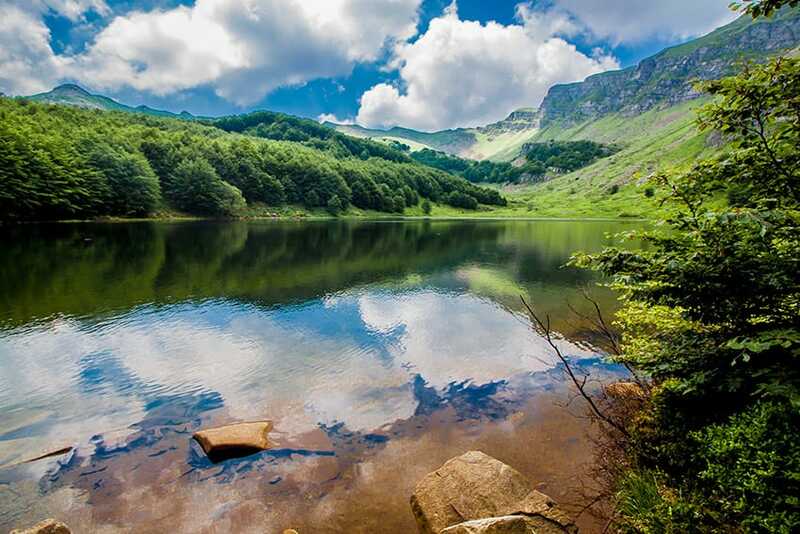 Beautiful nature in Emilia Romagna, This is Lake Santo. Maybe the more “adventurous” ones even visited Cinque Terre, Naples and the Amalfi coast, and the beautiful islands of Sardinia and Sicily, but not many people place Emilia Romagna on top of their list. WHY?! Being Italian, and knowing 98% of my country’s regions I’d love to see more people visiting Emilia Romagna, and not just Bologna, which is beautiful of course, but it’s not all Emilia Romagna has to offer. 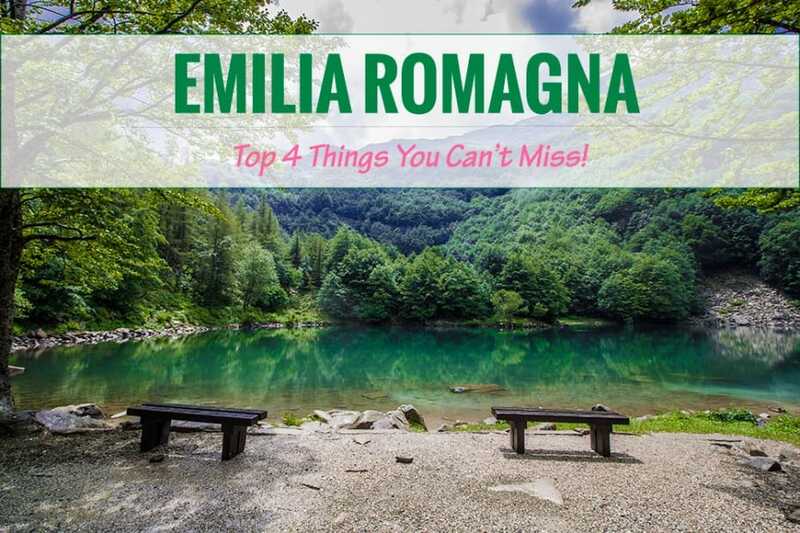 Now I’d love to show you 4 great things you can do in Emilia Romagna that makes visiting the region for at least one week REALLY worth it!! Ok, I said that Emilia Romagna is not just Bologna, but a visit to the capital is mandatory of course, but why don’t you try to see more than the usual spots and venture a bit outside of your comfort zone? My suggestion is to take at least 2-3 days to discover Bologna. The center is quite easy to roam around by foot and you’ll have the chance to see all the major attractions. After you have admired the beauty of Piazza Maggiore, the towers, the arcades and the small streets surroundings the city center you’re ready: Simply get lost! Don’t worry, Bologna is a rather safe city, just bring a map with you, in case you have to ask someone where in the hell did you ended up, buy a daily ticket and jump on the first bus that comes your way. You’ll be surprised at what you might discover! I first started by foot, sneaking around the small streets filled with dozens of arcades and small shops (called “Bottega” in Italian, selling prosciutto, bread, and other typical Regional products). Then I saw a bus, Bus number 30, and I decided to take it. The excitement of not knowing where you’re headed and what you’re going to see is the best part of it. It’s like going back o your childhood when everything was new and exciting! – ENJOY THE RIDE: It doesn’t matter if you don’t know every single detail of what you’re looking at. Sometimes beauty is there just to be admired, not examined. If you are still curious, you can always take a picture of what you see and ask the locals or look it up on the Internet. In the meantime… enjoy the ride! –SIT NEAR THE DRIVER: Possibly on his right, you’ll be amazed on how friendly the local bus drivers can be when they get out of the stressful traffic jams in the city center! -BRING A MAP WITH YOU: You might want to ask which bus goes to that attraction you absolutely want to see in Bologna. And below is where I ended up! Without knowing it, I was actually on a slightly touristic route and to my surprise I saw the bus going up the hill, passing through some lovely villas surrounded by green areas and residential houses. The bus stopped in this big space overlooking the city where you can find the Church of San Giovanni In Bosco. Really worth a visit. 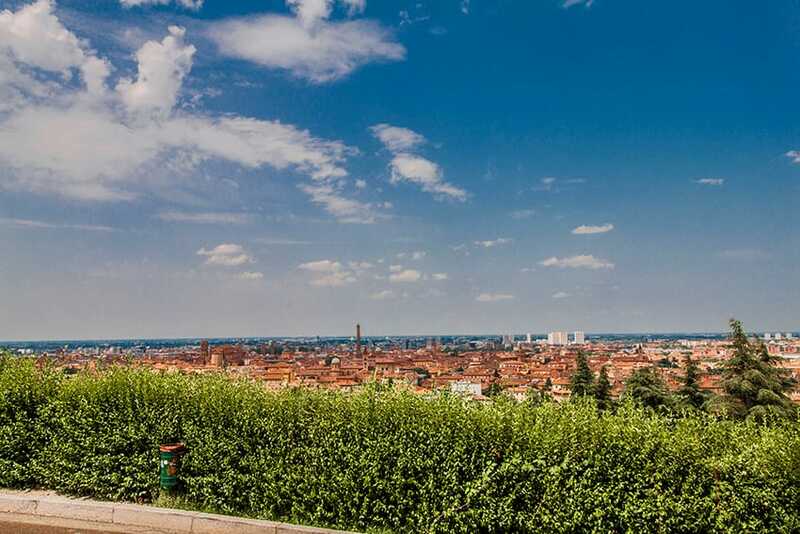 That view is awesome, you can see Bologna from the hill and even if the hop on hop off bus passes in there, it doesn’t stop. The quiet is surreal, I was basically alone admiring the beauty of Bologna from the hill. 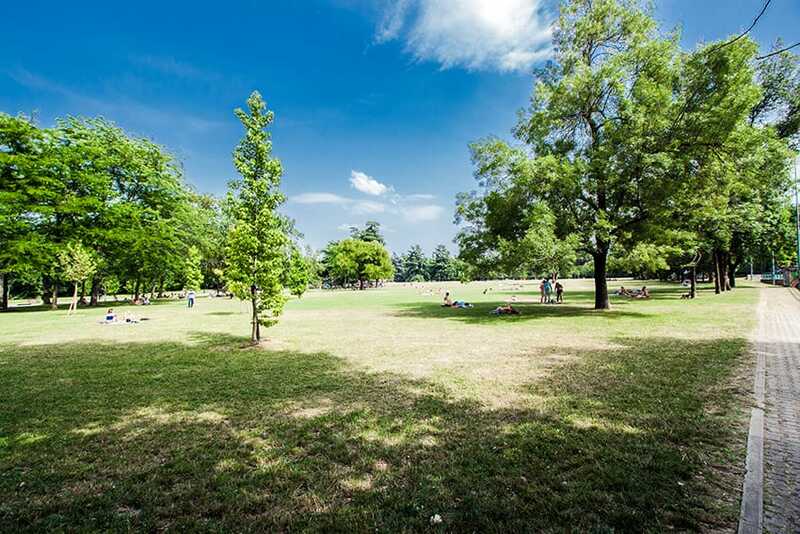 On my way back, always with the same bus, magic N.30, I get off at Giardini Margherita, a big park where the locals go to play sports, take their children to spend a day out or simply sunbathe! You can enjoy your afternoon strolling around the park, watching the small water turtles and ducks, or simply sit on the grass and relax. Highly recommend! 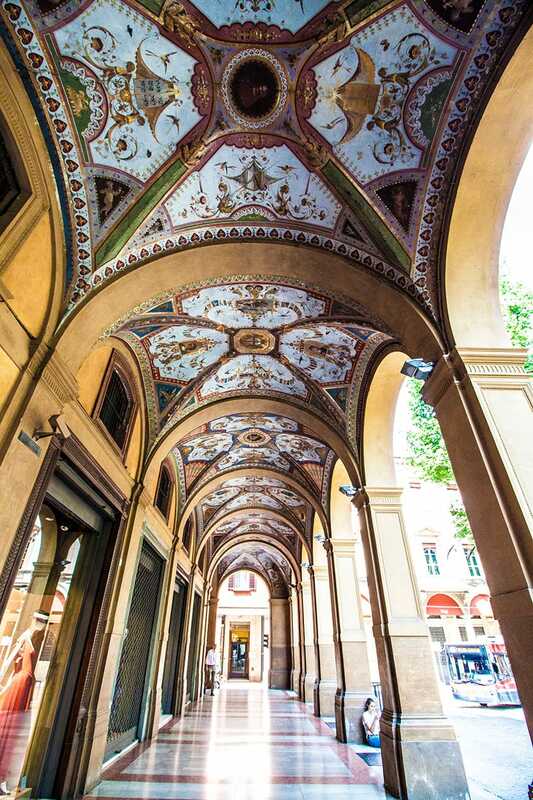 DO YOU WANT TO KNOW MORE ABOUT BOLOGNA? You can check out their official website: www.bolognawelcome.it or visit their offices at Bologna Airport G Marconi (Grab a map of the city!) or in their Piazza Maggiore Office. 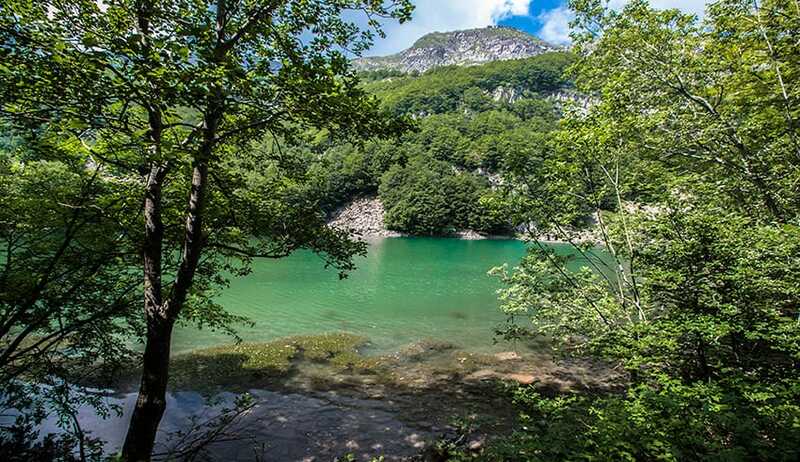 If someone asks me to name one thing is worth visiting when in Emilia Romagna, I wouldn’t have any doubts: Discover the Parco del Frignano and its beautiful lakes: Lake Baccio and Lake Santo! I organized a day trip to the park with Trekking Italy and the lovely guide Riccardo Solmi, who showed me around and took me to one of the most beautiful places in Emilia Romagna. These two lakes are (incredibly!) not touristy at all, and I found myself immersed in nature. 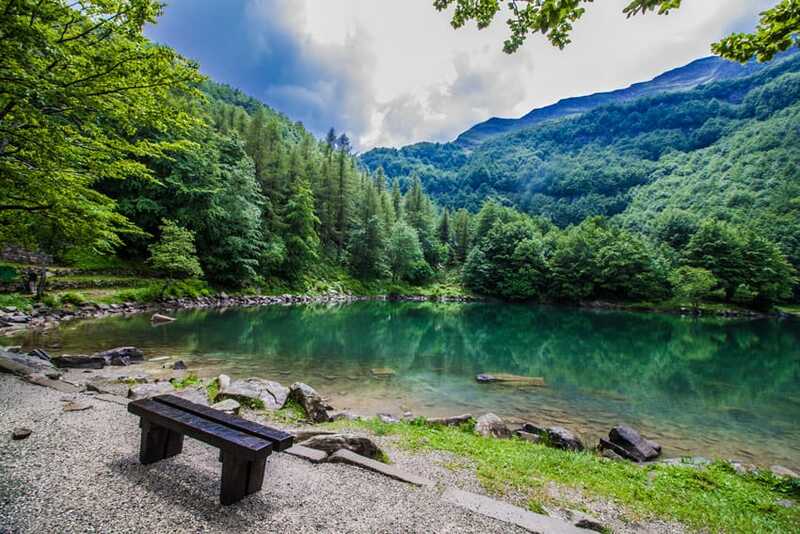 Surrounded by beautiful and peaceful sceneries, sitting on the grass in front of the lakes and meeting the occasional excursionist coming down from the mountains. -GO WITH AN EXPERT GUIDE: It’s important to have one as unless you know where you’re going and have your own car, in this case, it’s not advisable to get lost! 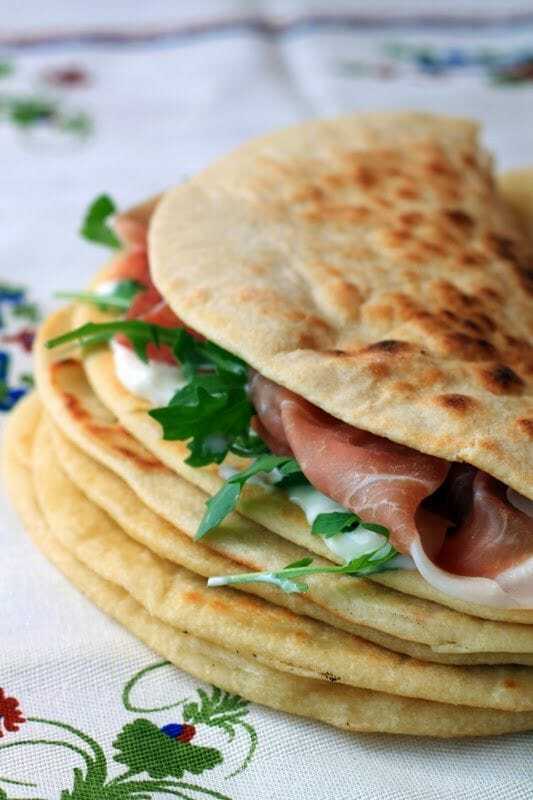 -GET A PACKED LUNCH AT A LOCAL SHOP: Don’t bring your packed lunch from home, stop and get one delicious Panini with some prosciutto or “coppa” (A typical Italian type of salami..my favorite). It’s all part of the experience and you’ll get to stop in one of the gracious villages along the way. Which definitely adds up to the overall experience. –BRING SOMETHING WARM (and a spare set of clothes! ): Even if I went there in June, in the mountains can get a bit cold. We were caught up in a storm and on our way back to the first lake (Lake Santo) I got completely soaked up. Luckily enough my guide had a spare t-shirt ! The experience was so much fun! No one there, the storm, and me trying to save not my precious camera but…. My salami panini! Yep! The food in Emilia Romagna was so good that during the storm my only focus was desperately trying to spare my yummy lunch from the rain. 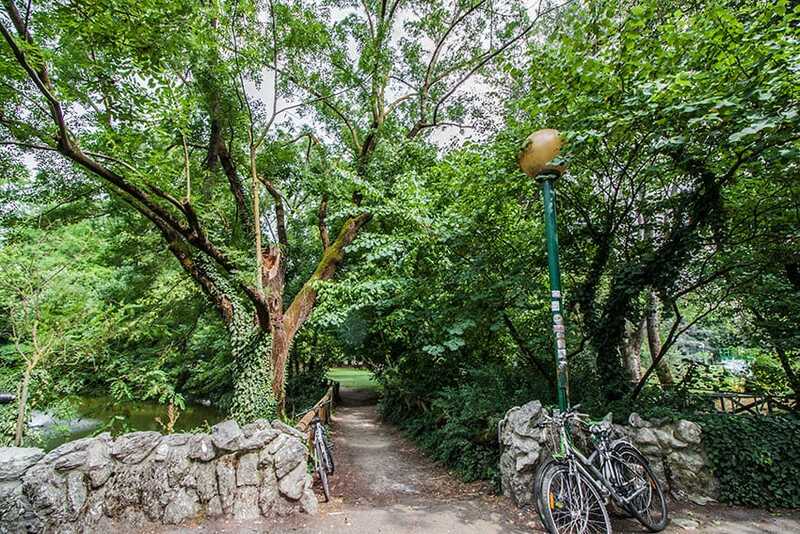 It takes around 2/3 hours to get to the Frignano Park from Bologna. The Hike to the lakes it’s very easy, not steep or dangerous so ideal for everyone. I highly recommend Riccardo and it’s Trekking Italy services for this trip. He loves his region and he knows a lot about the spots you can’t miss, the traditions and much more. Emilia Romagna is well famous for the curative power of its sulfur waters, no wonder the region is filled with Spas and Thermal centers. The locals go there regularly to cure respiratory problems or to simply to relax and take a day or a full weekend to treat themselves. The first day in the house in Emilia Romagna, I checked out the wide range of leaflets left by the Blogville staff to help us in choosing whatever suited our taste. 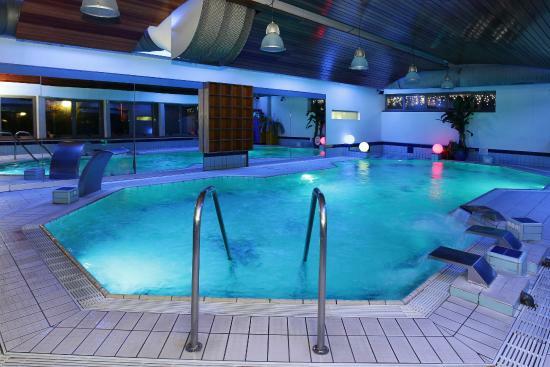 Shame on me as I only saw the one about the Thermal centers and SPA’s 2 days before I left! Everyone knows how crazy I am about SPA’s. I talked about my obsession with wellness centers & co on my Sri Lankan post so when I found out that Emilia-Romagna had such a plethora of choices I was like a kid at Disneyworld! After 1 hour drooling over the pictures on the guide, I decided to go to the Terme Della Salvarola, easily reachable from Bologna (just 1 hour by train). The experience was beyond amazing and I can’t recommend that place enough. I only have one problem to report: LEAVING! I wish I had a whole week at the Terme della Salvarola! If after only one day in there I felt so relaxed, I bet that one week would have turned me into Yoda. Seriously! And you should try too! Ok I start with my absolute favorite, I had a super relaxing bath in a small heated room and the bath was actually a real wine cask! This treatment is very useful to soothe and soften the skin, relaxing every inch of your body. It’s also great for 2 people, as there is plenty of space to share this experience with your loved one. There are three pools at Terme della Salvarola, and ideally, you should try all of them as the different temperatures will help in reactivating the circulation. One of them was a big Jacuzzi where you could adjust the strength of the water coming out, to give you the massage you need, not to mention the amazing “waterfall” of water in the bigger pool. That one was seriously amazing! You activate it and place your back under the water falling down. It gives you a super strong massage to the neck and shoulders. Most importantly: I wanted to truly ENJOY the experience. Hell, I did!! There is a wide range of massages you can choose from on the Terme della Salvarola “menu” and I had a really hard time when deciding which one to try! Since I went for the cherry juice bath, I paired it with the cherry massage. The lady covered me with a special white mixture with a delicious scent and had real cherries in it. I almost fell asleep during the massage, so relaxing! Unfortunately, all good things come to an end, the day was almost over and I had to catch my train back to Bologna so I sadly had to say goodbye to paradise. Of one thing I’m 100% sure: whenever I’m back to Emilia Romagna, I’m booking a full weekend at Salvarola Terme. No doubt about it! I don’t even recommend it. It should be mandatory! 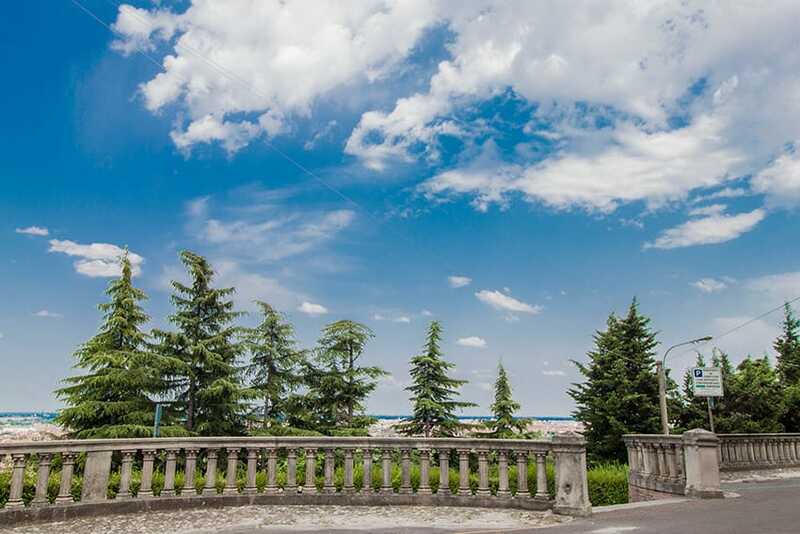 To know more about this heavenly place, near Sassuolo (Modena), their treatments, offers and prices, you can check out their official website in here. Also, don’t miss the opportunity of staying in one of the marvelous villas in Italy! 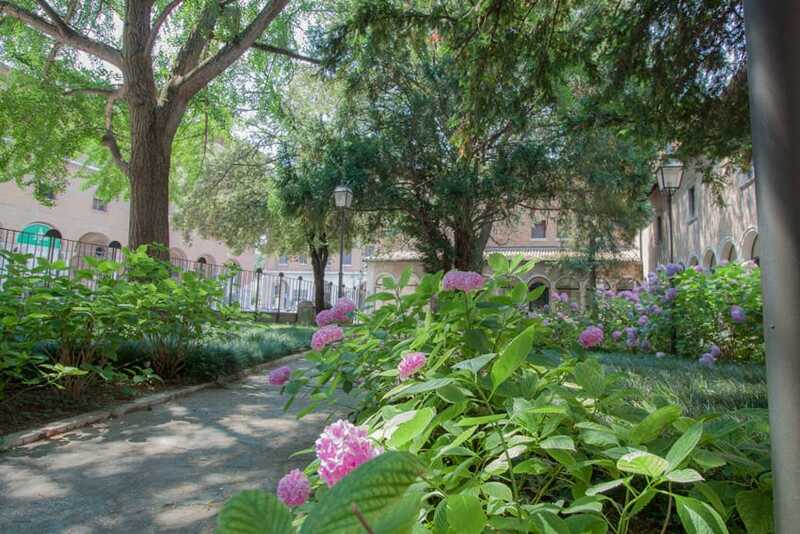 Emilia Romagna has some truly amazing places where you can relax after a day at the SPA! 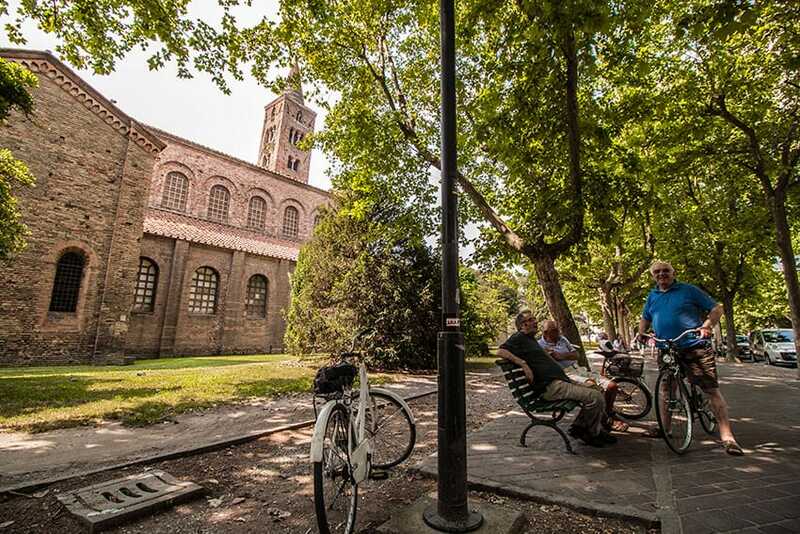 4| ASK A LOCAL TO BE YOUR GUIDE IN RAVENNA! Emilia Romagna has plenty of cities to discover, and since I had to choose one, max 2, I decided to go for Ravenna, the capital of the western Roman Empire, of King Theodoric of the Goths and of the Byzantine Empire In Europe. Ravenna is one of the most important cities in the world when it comes to the ancient art of mosaics. Its walls conserve mankind’s richest heritage of mosaics, recognized as a world heritage Site. There are great schools and laboratories to learn this art and I was lucky to visit one. A special one actually, where Luca Barberini, an international artist, creates fascinating contemporary mosaics, still using the ancient mosaic techniques. I spent a few hours at the laboratory of Koko mosaico, where they explained me how they create these pieces of art, and allowed me to take a few pictures during the process of creating a mosaic. It was the first time I ever saw the making of it , totally worth it! 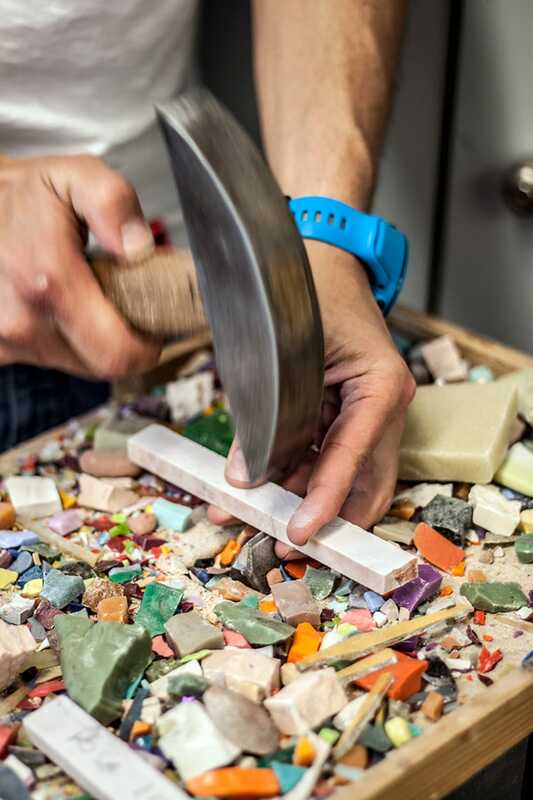 Koko Mosaico School offers beginners and advanced courses in Mosaic making and the work created range from copies of ancient mosaics to contemporary mosaic. They Really have it all! We had a good laugh and they showed me what was really worth seeing in the city, circling the top spots for me. Below is a picture of my wanna be guides, so nice! Along with other ancient monuments in Ravenna, Sant’Apollinare Nuovo was added to the UNESCO World Heritage List in 1995. 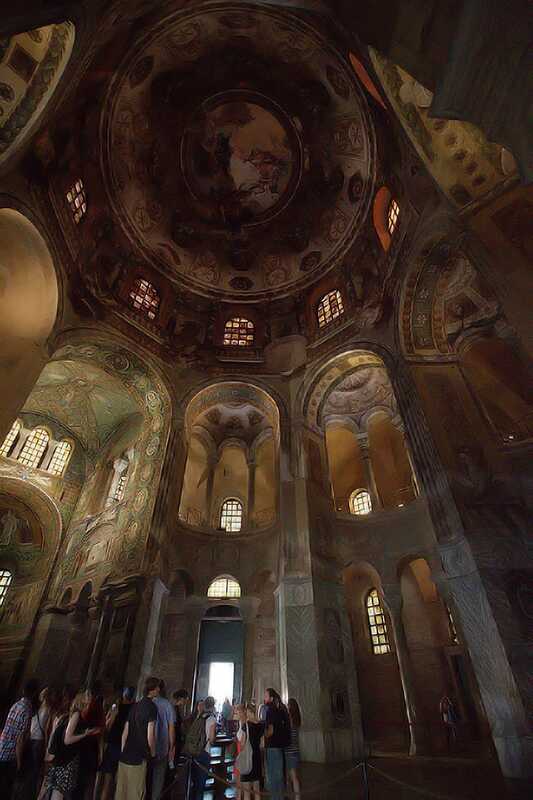 The advisory body remarked, “Both the exterior and the interior of the basilica graphically illustrate the fusion between the Western and eastern styles characteristic of the late 5th-early 6th century. This is one of the most important buildings from this period of crucial cultural significance in European religious art. The walls of the nave and clerestory are covered in glittering mosaics from the early 6th century AD. Some of them date from the Arian period under Theodoric (496-526), including the 26 panels depicting scenes from the life of Christ, the large portrait of Christ enthroned, and the depictions of Theodoric’s palace in Ravenna and the port at Classe. 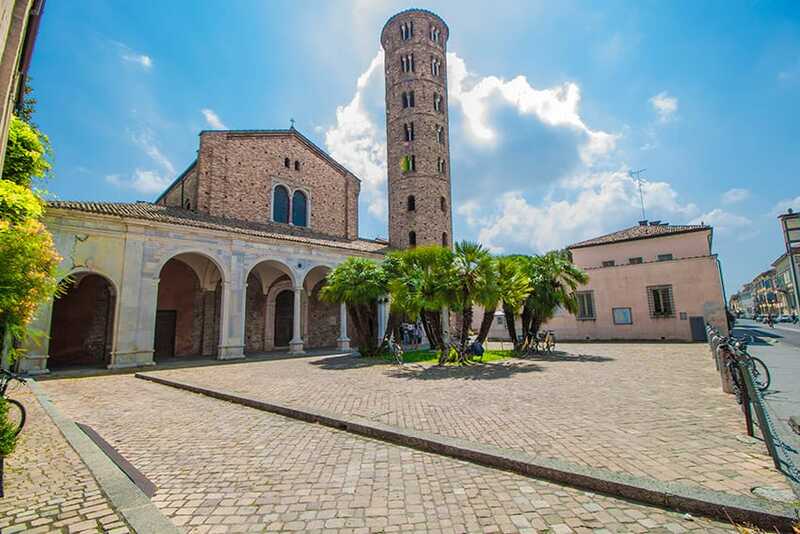 It was listed with seven other structures in Ravenna in the World Heritage List in 1996. 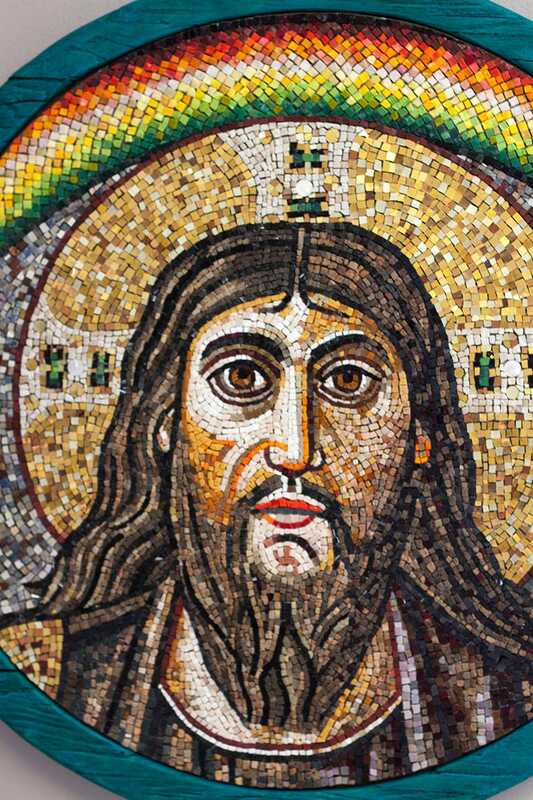 It’s the earliest and best preserved of all mosaic monuments. Mosaics cover the walls of the vault, the lunettes and the cupola. The iconographic themes developed in the decorations represent the victory of eternal life over death. The mausoleum is laid out in a cruciform floor plan, with a central dome on pendentives and barrel vaults over the four transepts. The exterior of the dome is enclosed in a square tower that rises above the gabled lateral wings. The brick surface is set with narrow mortar joints and decorated with blind arcades. 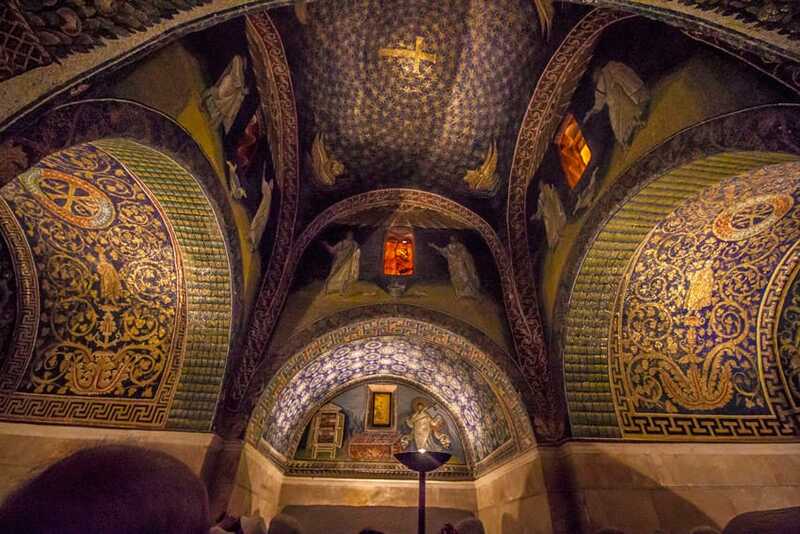 The interior of the mausoleum is covered with rich Byzantine mosaics, and light enters through alabaster window panels. The inside contains two famous mosaic lunettes, and the rest of the interior is filled with mosaics of Christian and Apocalyptic symbols. The central bay’s upper walls are decorated with four pairs of apostles, including St. Peter and St. Paul, acclaiming a giant gold cross in the center of the dome against a blue sky of stars. Symbols of the four evangelists float among the clouds. The other four apostles appear in the barrel vaults of the transepts. Dante’s remains were laid in a sarcophagus and placed in the church cemetry beside the wall of the Franciscan Monastry in Ravenna. When, in 1519 the Florentines claimed back the remains, the Franciscans removed the bones from the tomb and hid them. 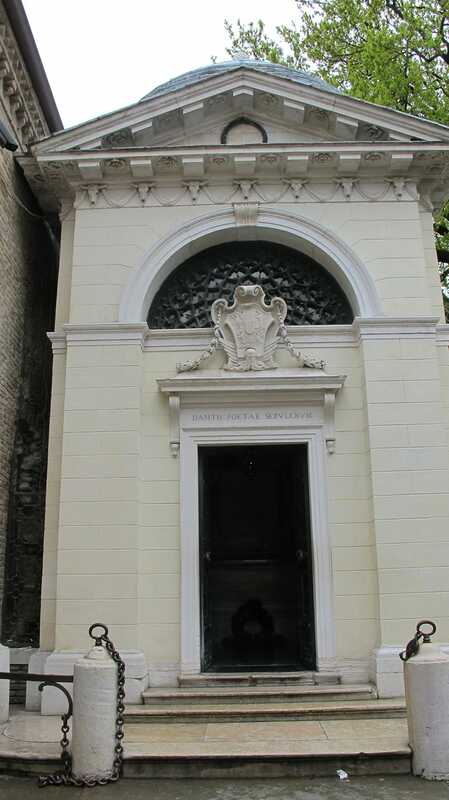 In 1780 Cardinal Gonzaga removed the empty tomb and had a memorial chapel built in its place. Dante’s remains were found in 1865 and were brought back to their former site. The Basilica of San Vitale is one of the most important examples of early Christian Byzantine art and architecture in western Europe. The Basilica of San Vitale is one of the most important monuments of Early Christian art in Italy, especially for the splendour of its mosaics. Founded by Julianus Argentarius and commissioned by Bishop Ecclesius, the octagonal church was consecrated by Archbishop Maximian in 548. The influence of oriental art, a typical feature of Ravenna buildings, plays a dominant role both for the architecture of the basilica, where elements of Eastern art merge with the Western tradition and for its mosaic decoration, that expresses the ideology and religious beliefs of the Justinian era. The typical division into nave and two aisles are replaced here by a central, octagonal plan, topped by a cupola that rests on eight pilasters and arches. The cupola and the niches were frescoed in 1780 by Bolognese painters Barozzi and Gandolfi and Guarana from Veneto. 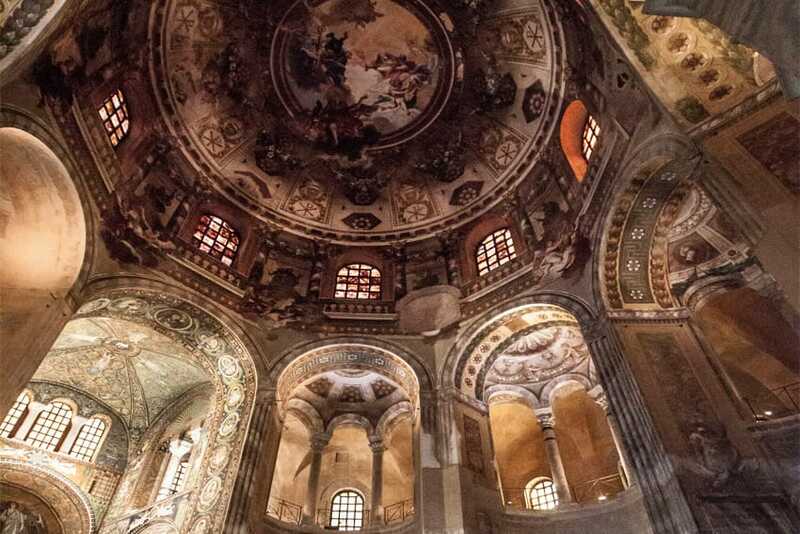 On entering the Basilica of San Vitale, the eyes are captured by the elevation and width of spaces, by the stunning mosaic decorations of the apse and by the baroque frescoes of the cupola. It is probably due to this upward thrust that a small and lesser-known treasure often goes unnoticed: a labyrinth is represented on the floor of the presbytery, right in front of the altar. Small arrows start at the center of the labyrinth and lead towards the center of the basilica, going through a winding path. In the early years of Christianity, mazes were often the symbol of sin and of a possible purification. Finding the way out of the maze thus represented an act of rebirth. Once followed the path of the labyrinth, the eyes may contemplate the altar of San Vitale and some of the most beautiful mosaics of Christendom. Last admittance 15 minutes before closing time. Between 5 April and 8 November: visits suspended on Sundays between 10am and 11.45am for the celebration of the Holy Mass. For more information about these incredible places and more, you can visit the Tourist Office website: www.turismo.ravenna.it or pay them a visit in Piazza San Francesco/Piazza Caduti per la Liberta’. They are super friendly, speak very good English and you can gather all the information you need, including maps, souvenirs, and books. A FINAL CONFESSION: THE FOOD! If you are new to my website, check out my FAQ section, and read the last one where I mention “why I don’t talk about food on my blog”. Well, ladies and gents… you already know that Italian food is one of the best in the world (yes, bragging here), but it’s the truth, right? I’m Italian and I know Italian food( DUH?!) but hey… Emilia Romagna, in my opinion, has THE BEST ITALIAN FOOD. Hands down. I mean, if even someone like me, so reluctant on talking about food, actually WANTS to break the rules, it means that I’m not kidding! I made a discovery that changed my gastronomic world forever. 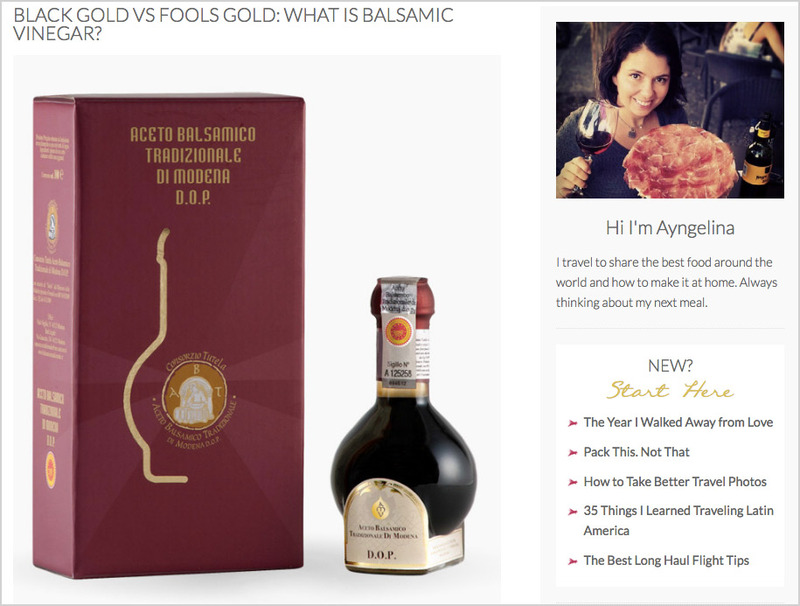 I tasted the best Balsamic Vinegar in the world. Accompanied by slices of Parmigiano Reggiano. Trust me, saying that it was a divine combination is an understatement. You HAVE to try it! Write this down, you won’t regret it. Its name is Aceto Balsamico Tradizionale di Reggio Emilia. You can read more in here. Too bad you can’t taste it on the website. 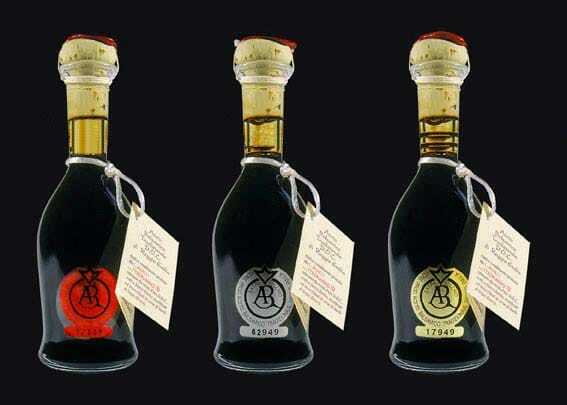 Another great option to try balsamic vinegar produced in Emilia Romagna is the famous Aceto Balsamico Tradizionale Di Modena. There are 3 types, depending on how old is the vinegar. I tried the Silver one and It’s absolutely delicious! Should I go on with the food part? What about the Tortellini, the Parma Ham, the famous “Piadine”, and the Bolognese sauce (RAGU’) well known all over the world? I could go on and on…forever! Emilia Romagna is the land of delicious food! So delicious that I’m drooling just by writing about it. I’ll be brief here. Very brief, but straight to the point: If you are in Italy and don’t take the time to visit Emilia Romagna, you’re missing out BIG TIME. Now up to you, have you ever visited Emilia Romagna? Leave me your impressions in the comments! That spa looks absolutely magical. Goodness, what a beautiful home country you have! I’ve been to Rome only, but would love to explore more of Italy, especially for the food!